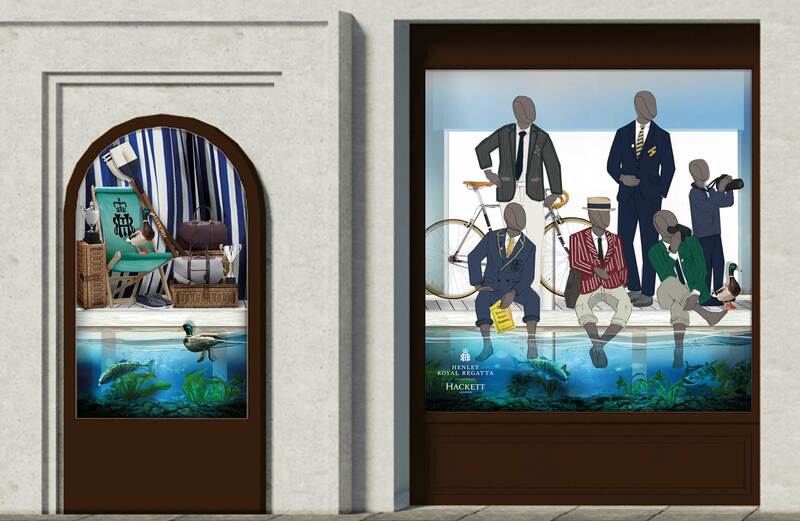 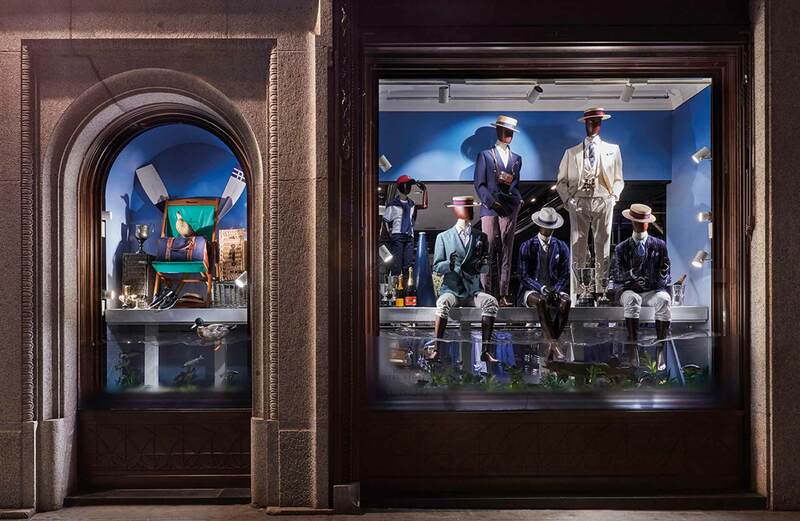 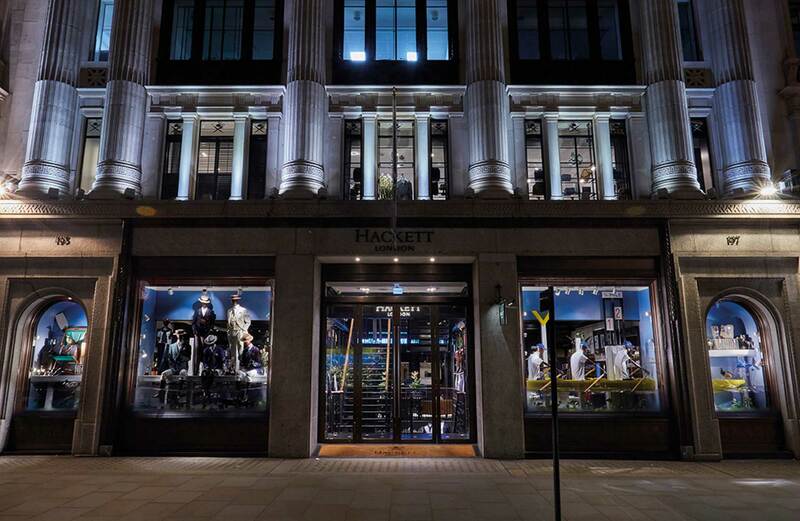 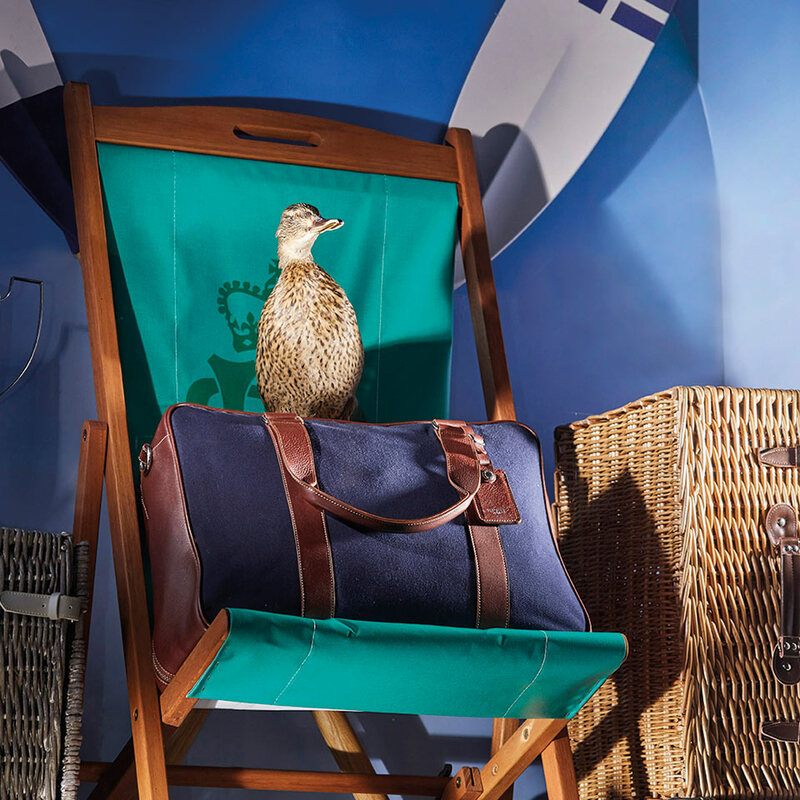 In celebration of the Henley Royal Regatta, Hackett is bringing the tradition and cheer into the heart of the city this summer. 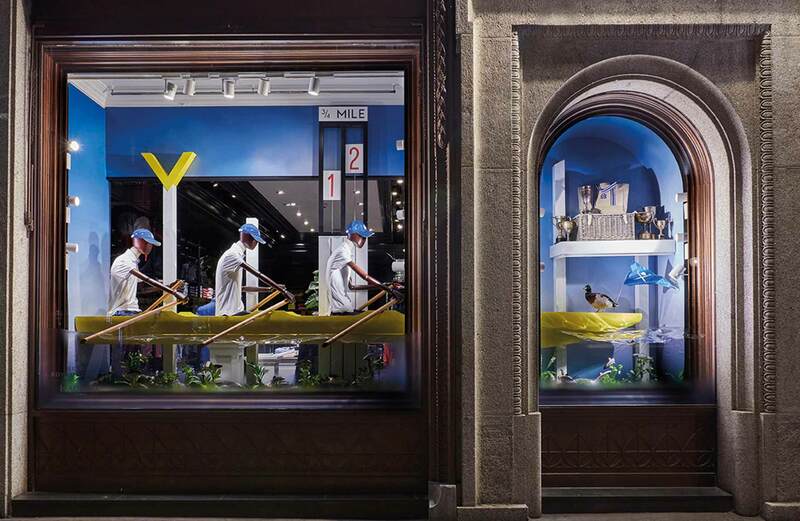 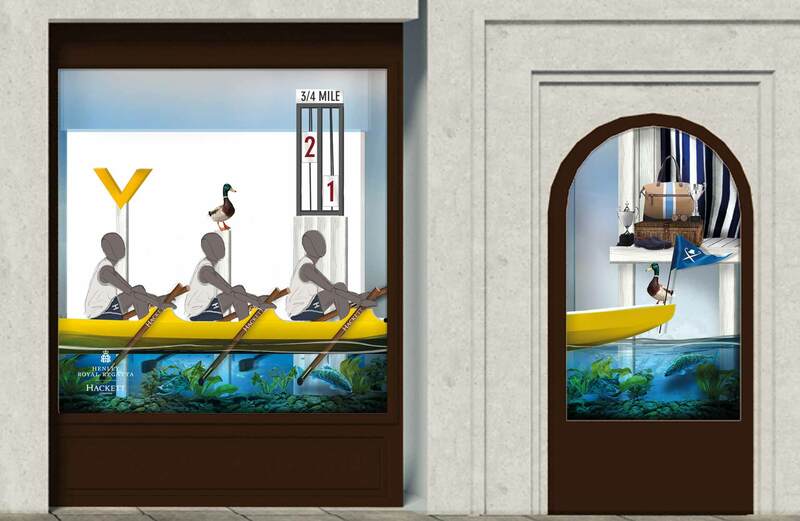 We designed and produced the window scheme across four stores, splitting the River Thames in half to reveal both above and below the water. 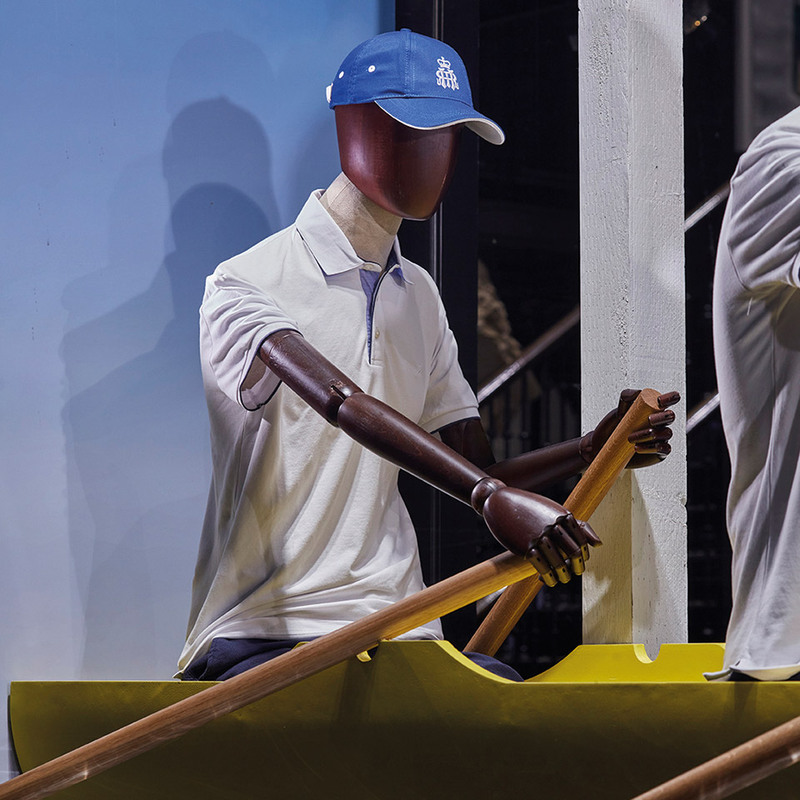 Above the water line, mannequins applaud the Hackett rowing team. 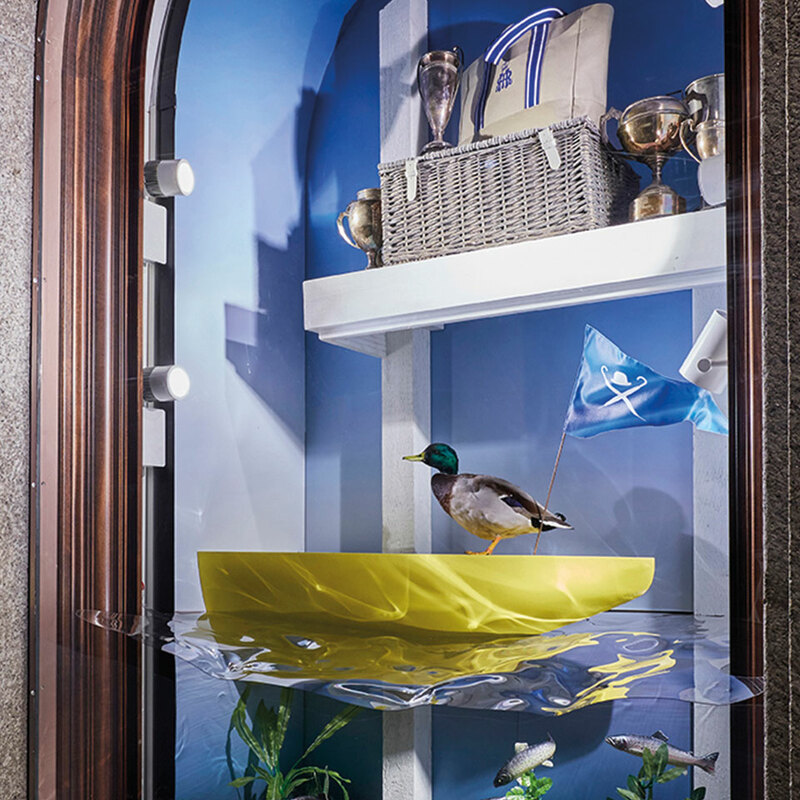 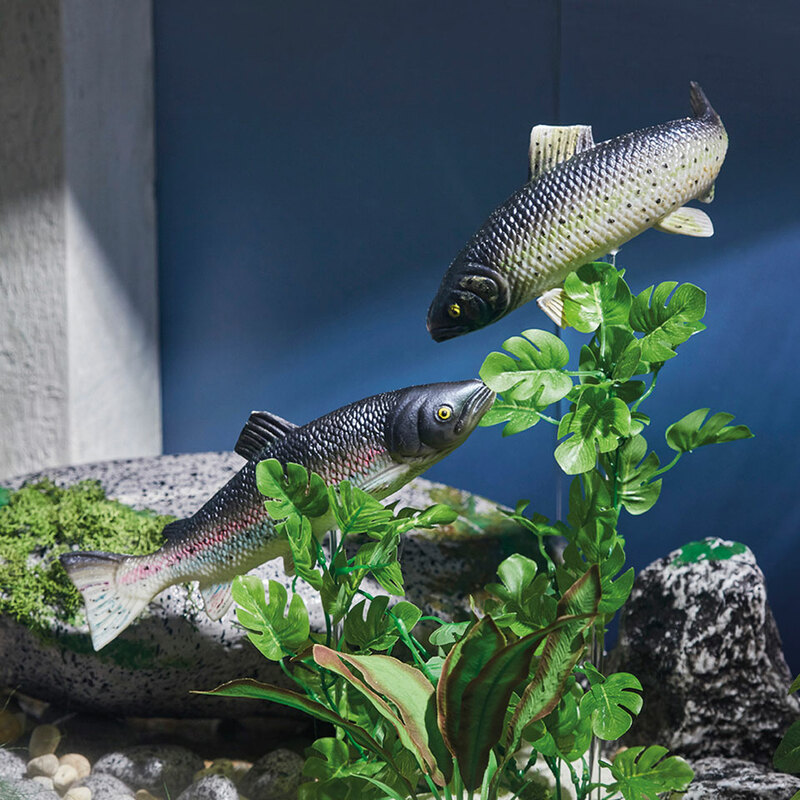 Below the water, fish swim and ducks paddle in a scenic painted underwater scene, complete with a misplaced bottle of champagne.